• Add shelves to the laundry room. If you have the space, this is the ideal place to create a mini-pantry. • Purchase a portable pantry. There are many available on the market. Some are even disguised as cabinets you’d expect to see in living and dining rooms. • Purchase a movable pantry. These units are on wheels and can slide in and out of the kitchen with ease. Some are short enough to slide conveniently under a kitchen table. • Make use of an unused closet. 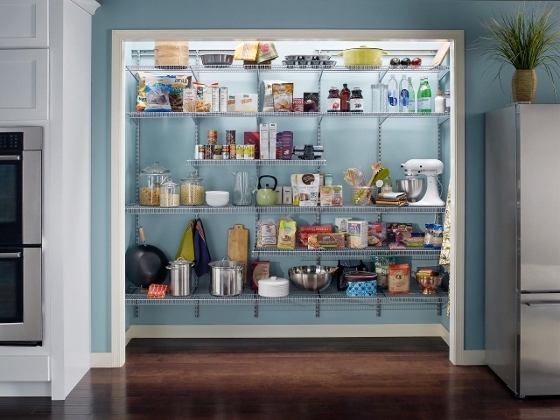 These are rare in most homes, but if you have a closet that isn’t being used, it can easily be converted into a pantry.